The 16MP LUMIX GX7 with Venus engine is the latest premium compact system camera (CSC) from Panasonic, directly replacing the GX1. 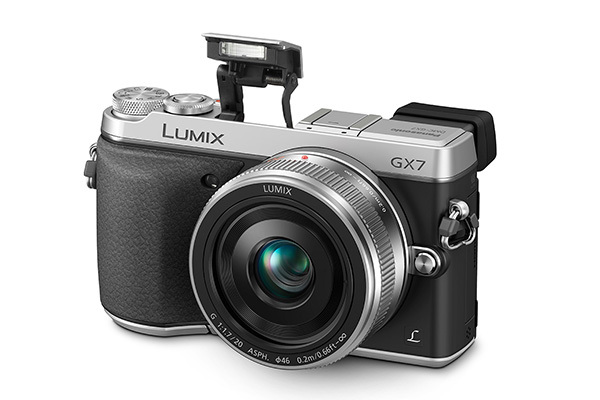 Although it’s more than twice the current street price of the GF6, which is Panasonic’s award-winning entry-level CSC, it does offer a number of significantly better specs and features, many of which rival, or even outshine, the flagship GH3. The most notable improvement to this camera is its re-engineered Four Thirds sensor, which isn’t yet built into any other Panasonic model. Shrinking the amount of circuitry in each pixel using Semiconductor Fine Technology has made room for an enlarged photo diode area, which is the part of the sensor that receives the light. This means a 10% increase in light sensitivity, 25% better signal-to-noise ratio and 10% better colour saturation. Another striking feature on the GX7 is the 90-degree tiltable electronic viewfinder (EVF) with built-in diopter, a feature that doesn’t appear on any other CSC. This will appeal to more advanced users who prefer to compose images with a viewfinder rather than an LCD screen, which isn’t possible on less expensive models like the GF6. The fact that the EVF tilts upwards opens up a lot more creative possibilities when shooting subjects from difficult angles. The EVF itself has an impressive 2764k-dot resolution, which is higher than on any other Panasonic camera, and it has colour reproduction very similar to RGB colour space so colours are relatively accurate. There is no blurring in the corners, and the eye doesn’t have to be perfectly central for the subject to appear sharp. When using the auto eye sensor, there is a slightly longer-than-desired delay before the EVF comes on, but this isn’t a major issue. Along the top of the camera next to the EVF is a built-in flash (guide number 7), and there’s a separate accessories shoe so a more powerful flash or a microphone can be connected. On the back of the GX7 is a 3in 1040k-dot LCD screen, which also tilts and has electrostatic touch control like on the G6. The screen has good contrast and colour, and appears very sharp. The GX7’s 14-42mm f/3.5-5.6 II Mega I.O.S. kit lens performed extremely well on our lens test charts. Wide-open at f/3.5 at 14mm there’s virtually no chromatic aberration, and only minimal corner softness compared with typically better-performing apertures. Equally, at 42mm, there’s very little to criticise, even wide-open at f/5.6. There’s also little to no lens vignetting or distortion. This lens is the full-frame focal length equivalent of 28-84mm. The GX7 has built-in sensor shift image stabilisation, which is great when using non-O.I.S. lenses, such as some Olympus and Leica optics. There is also a 23-area contrast AF system, which we found is exceptionally fast at finding focus, even when shooting in low light conditions. The GX7 has cutting edge connectivity, as it comes with both Wi-Fi and Near Field Communication (NFC). There’s also a Panasonic LUMIX Link smartphone app for remote shooting. This works really well, with smooth Live View on screen and the ability to change some camera settings wirelessly too. The GX7 is fully loaded, with external controls that help make it an exceptionally easy camera to use. On the top-plate is a mode dial so users can switch between manual and automatic modes without having to go into the menu system. This also includes three custom user modes for saving commonly used settings. Next to the mode dial is the comfortably placed on/off switch and shutter button, and also a finger dial for changing key settings. On the back of the GX7 is a thumb dial (which can be pressed in to change exposure compensation), and no fewer than nine function buttons to customise your camera controls precisely to your liking. There’s also an AF/MF switch, a Q menu shortcut, image review access, and direct controls for ISO, white balance, drive mode and autofocus mode. The layout of these buttons is very ergonomic, making this camera extremely user-friendly and intuitive. The GX7 feels great in the hand, with a comfortable rubberised grip and plenty of room for the fingers. 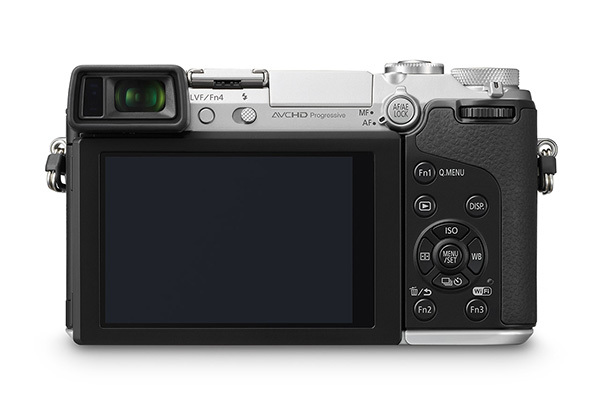 The menu system is very similar to those in other LUMIX models, which is simple and uncomplicated. The Q menu is slightly clumsily designed, although this isn’t too important as there are so many direct access controls. The GX7 has a battery life of 350 images from a single charge, and weighs 504g with battery and 14-42mm lens. It can be bought body-only in black or a more retro black and silver, and both are available as a kit with a choice of either a 14-42mm f/3.5-5.6 II or 20mm f/1.7 II lens. Overall, the GX7 is one of the best-designed, most user-friendly cameras on the market, with easy handling, intuitive menu interface and plenty of direct access controls. The GX7 isn’t just a fantastic stills camera. Like the GH3, it’s also got pretty impressive video functionality, shooting Full HD at 60fps in AVCHD Progressive and MP4 with stereo sound. There aren’t many stills cameras out there that can shoot at this frame rate in Full HD, so it will be a very attractive option for videographers, especially those who regularly like to shoot slow-mo footage. Full-time AF and tracking AF are also both available while recording video, and for that cinema-like look 24p is built-in with a maximum bit rate of 24MB-per-second. If you’re into video as well as stills, this is a seriously impressive option. The GX7’s native ISO range of 200-25,600 (expandable to ISO 125) makes the camera suitable for use in low light conditions. In the lab we tested the sensor’s low light performance, and found the noise didn’t significantly affect image quality even up to ISO 6400. At a push, images may be acceptable at ISO 12,800 if used at a small size, but by ISO 25,600 they’re not really useable. This is a fantastic performance for a compact system camera, rivalling the low light performance of some DSLRs. Panasonic’s claim that this sensor performs better in low light than any other G-series sensor is well founded. The GX7 is another fantastic camera from Panasonic, with tilting LCD screen and viewfinder, a brand new sensor, and NFC and Wi-Fi connectivity. The handling is characteristically excellent, with very responsive operation, an easy-to-use menu system, and nine function buttons for fully customisable controls. The GX7 is also fully loaded with direct access controls for changing the camera’s most important settings quickly and easily. If you like to shoot video, this camera is a very attractive option, shooting Full HD at 60fps, which is quite unusual. At the moment, the GX7 is probably a little on the expensive side, especially considering the GF6 is now only around £370, and cameras like the 60D are only £500 with a lens, but we’d expect the GX7’s street price to start to drop over the next few months. If price isn’t a major factor, this camera is very highly recommended. Kit lens: 14-42 mm f/3.5-5.6 MEGA O.I.S. This review was first published in the October 2013 issue of Practical Photography - download back issues here.